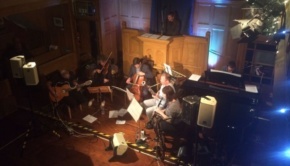 Craig Fortnam’s North Sea Radio Orchestra produce music of elegiac beauty, a sound that is both joyous and reverential, and uplifting to the spirit. 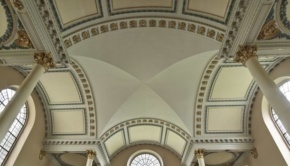 It comes as no surprise then to learn that a fair proportion of their intermittent gigs have been staged in places of worship, both current and decommissioned. In the four years since their last album, Craig has been busy with his solo alter-ego Arch Garrison (great name! ), releasing an album of songs in 2014 about “old roads and chalk downlands in a psych-folk haze”, according to the PR blurb. Sounds good, must investigate that. Also in 2014 he took on the role of musical director and arranger for a performance of the songs of Robert Wyatt at a festival in Lyon, France, with NSRO as the house band, along with the likes of John Greaves, former Cardiacs keyboard player William D. Drake and others. NSRO’s previous album I a moon was, to me, simply an album of sad and reflective songs, for I reviewed it before I knew of band leader Craig’s connection to the Cardiacs’ family tree, and I have since learned that the album was in essence a musical prayer for the healing of Cardiacs’ main man Tim Smith. I had been attempting to “get” Cardiacs for many years up to about a year ago, when the penny suddenly dropped with a resounding clang, but that’s another mare’s nest for another day. Reading the above, if you are one of those yet to understand Cardiacs’ marvellous racket, firstly keep trying and secondly, NSRO are about as musically far removed from Cardiacs’ rollercoaster intensity as a Ferrari is from a Mini. 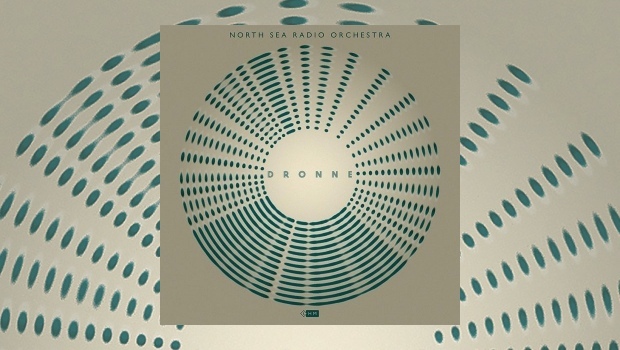 If one must apply a label, I suppose “chamber pop” is fairly apt, but ultimately Dronne is a collection of delicate songs performed with a variety of electronic, rock and classical instrumentation that cannot fail to impress. Arising out of his involvement with the Robert Wyatt festival, Craig has used Wyatt’s way of incorporating snatches of improvisation and fortuitous accidents into the finished song, although to be honest if I had not read that from the PR sheet it would be difficult for a musician to spot, let alone a musical semi-ignoramus like me, such is the seamless nature of the well-crafted arrangements on offer here. Second track, Vishnu Schist is simply the most beautiful song I have heard this year, Sharron Fortnam’s lovely and pure vocal and the unfolding melody produce a whole that is good for the soul. Following that we get a cover of Robert Wyatt’s The British Road. NSRO transpose the starker DIY production and meditative repetitiveness of the original into a bubbling brook of gentle pulsebeat topped off with delightful chamber orchestra intimacy. That’s the thing about Dronne, one feels as if one has been given an invite into a private world of secret thoughts and delicate delights that allows one to forget the plunge into dystopia that seems to be approaching at an alarming rate out there in the real world. The title track is an eight minute mostly improvised piece centred on repeating and building waves of synth pulses with accompanying bells, organ and sundry other subtle noises off. The track originated as music written for a funeral, but avoids being overly sad as it retains its original intention, taking the listener on a journey to whatever comes next. Craig and Sharron perform melancholic close harmony vocals on the sad and aching Alsace Lorraine, originally a lullaby for their son that turned into a paen to grief as part way through the making of this record the pair lost a close relative. In contrast, the album ends with the two-part Dinosaurus Rex, a suitably uplifting hop and skip to a happier destination for the record after the reflected sadness of the previous two tracks. Dinosaurus Rex is a complex and involving instrumental journey through delicate electronica and chamber music that leads one on a merry dance around the maypole in a fashion that only this unique and most English of bands can do. Let’s hope we do not have to wait another four years for the next album!